Controls increase in fatty tissue. Soin Remodelant Ventre-Taille Mult Intens is a refining body cream for abdomen and waist. 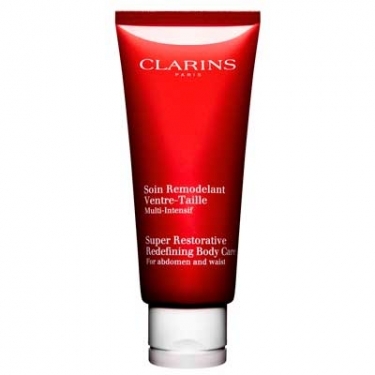 Perfect for mature skin or those who craved for that streamlined silhouette. This beauty cream contains pueria lobata, kaki calyx, caffeine, agrimony e silicon to reduce fat deposits, nourish, hydrate, firm contours and reduces stretch marks and sagging skin. Crowberry extract: slows down the expansion of abdominal adipose tissue. Apply A.M and/or P.M, with light upward click-wise movements from ankles up to the waist. No need to wait before dressing.